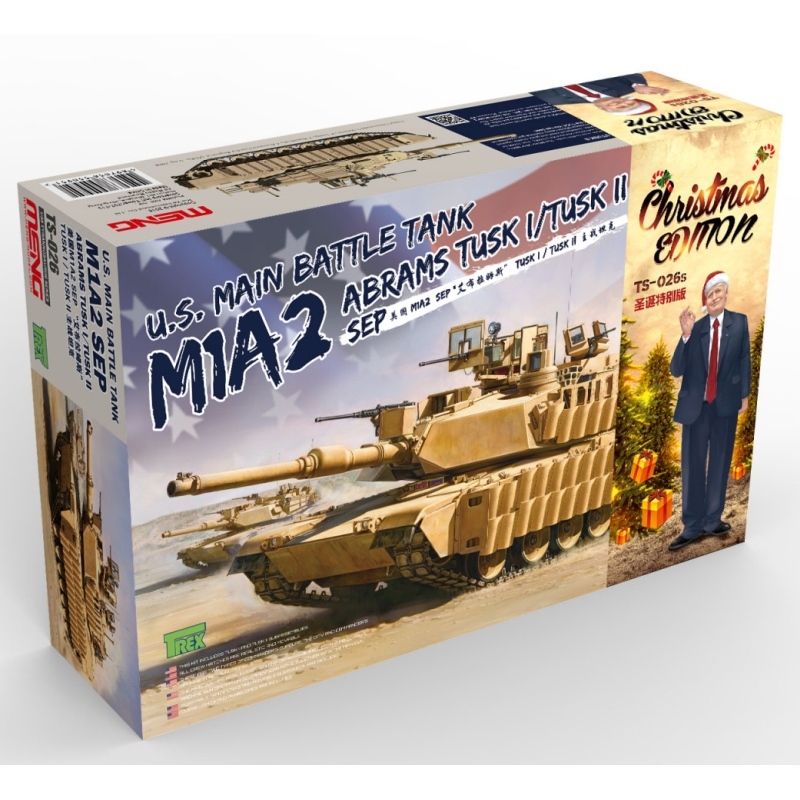 This MENG holiday product, U.S. Main Battle Tank M1A2 SEP Abrams TUSK I/TUSK II Christmas Edition, has something that?s really new. This kit contains a 1/35 resin figure of a superstar in recent years. You must know him. 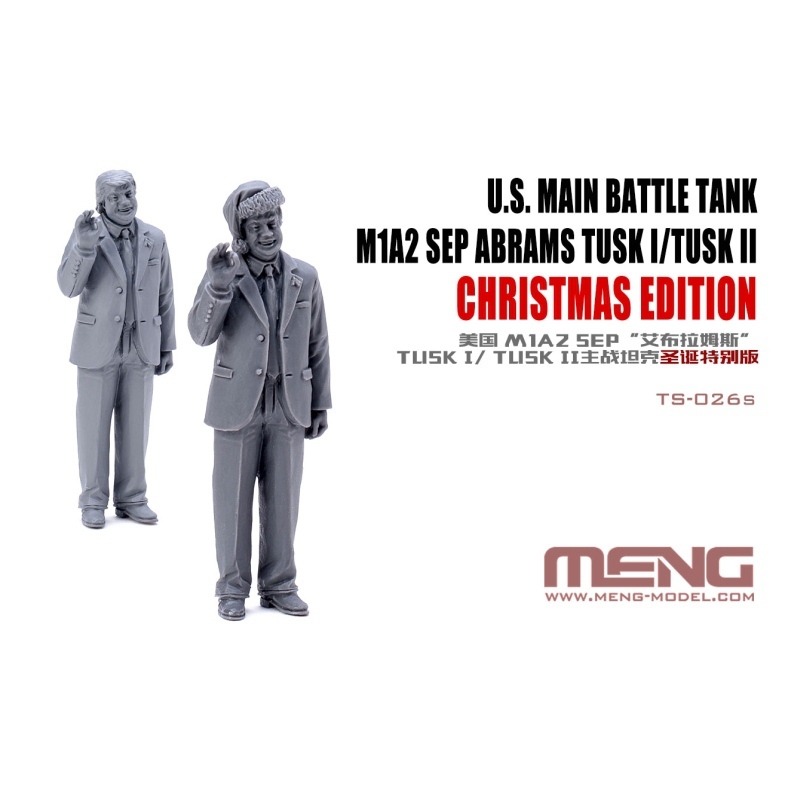 This figure has two head part options, one with a Santa hat and the other with the iconic hairstyle. This kit also contains an M1A2 SEP Abrams TUSK I/TUSK II model kit.